Many of us attempt to live each day in inspiration, where we awaken in a state of gratitude and hope for the day ahead. 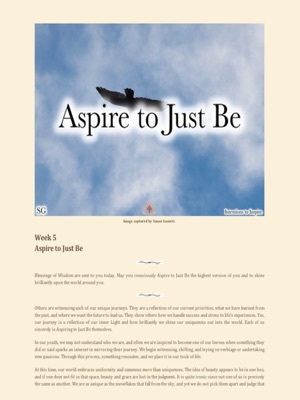 Yet time and time again, our experience is another floundering day where the plan or goal has wavered from our intent. 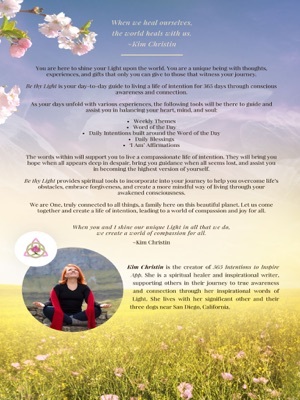 Be thy Light is a day-to-day guide to help us live a life of intention. 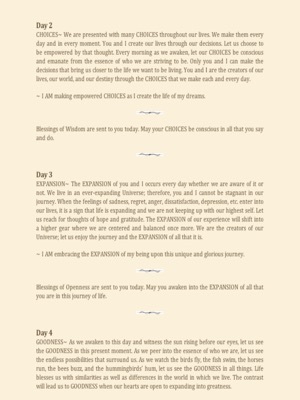 It includes 52 weekly themes and 365 daily intentions with ‘I Am’ affirmations. It illustrates various tools that each one of us can mindfully incorporate into our lives through our thoughts, words, and actions. Struggles will not disappear; but as you progress through the daily intentions, you will begin to understand how to fully feel and move through emotions of disappointment, heartache, and anger, fostering awareness and clarity instead of avoidance and negativity. Relationships will begin enriching your life’s journey, instead of depleting it, and your perception will start to shift towards a compassionate way of being. It is in this space that you will be able to create the life that you came here to share with others. If each of us takes the time to find peace within ourselves, we will bring more peace and compassion into the world. 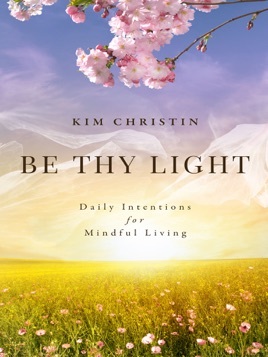 Be thy Light is the gathering of words that will help guide you to live a compassionate life of intention. It has been created to bring more hope where there is despair, to bring guidance when all seems lost, and to assist you in being the highest version of yourself.